Peter Loft (Denmark) has served several Ministers of Taxation as the Head of Department of the Danish Ministry of Taxation. He has strong political and technical analytic skills with a deep insight into taxation systems. 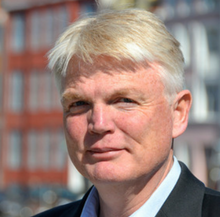 Today he is CEO in the Regional Municipality of Bornholm and Adjunct Professor at Copenhagen Business School.